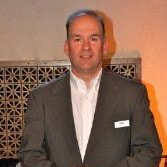 Joel Brown is the Chief Sales Officer for Reading Plus. He leads a talented group of professionals working with school administrators and teachers across the country to help more students become not just better readers, but lifelong readers. Joel has spent his career working at the intersection of technology, innovation, and education. Joel is a devoted husband, dedicated father, and proud son. As a lifelong resident of the New England area he is a passionate Patriots fan and an aging but still passionate hockey player.